I try to keep my positiveness as much as possible. I am only human, conditioned over 4 decades to react spontaneously to the negative. In my bid to recondition myself, the Lord is always there to remind me with His subtle messages. 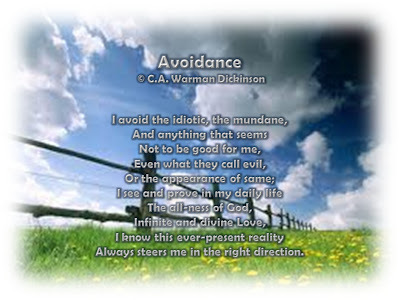 This poem reflects exactly my avoidance of all things negative.